How to use Culinary Argan Oil? What is in Culinary Argan Oil? There are two types of Argan Oil – Cosmetic Argan Oil and Culinary Argan Oil. 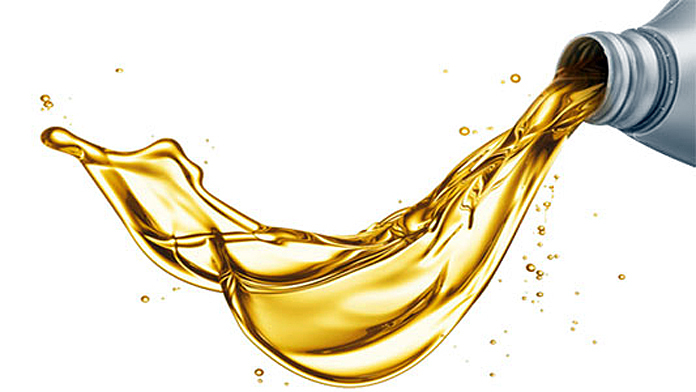 Culinary Oil is used for eating and as a nutritional supplement. Cosmetic Argan Oil is used for skin and hair care. Culinary Argan Oil has twice the anti oxidant vitamin content of Olive Oil which is so important for tackling a whole range of health issues. Furthermore it is rich in Omega fatty acids, Triglycerides, Phytosterols, Saponins and many other bio-active nutrients. 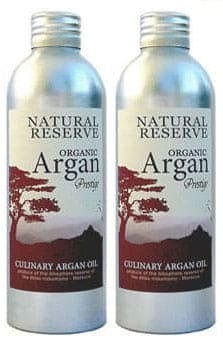 It is this rich blend of bio-active compounds that give Culinary Argan Oil its health benefits. The most popular uses of culinary Argan Oil for health are listed below. You will find links to full articles with references for your further research. Damage to the coronary artery walls predispose to forming thrombi leading to acute coronary syndromes such as unstable angina and MI and related effects such as stroke. 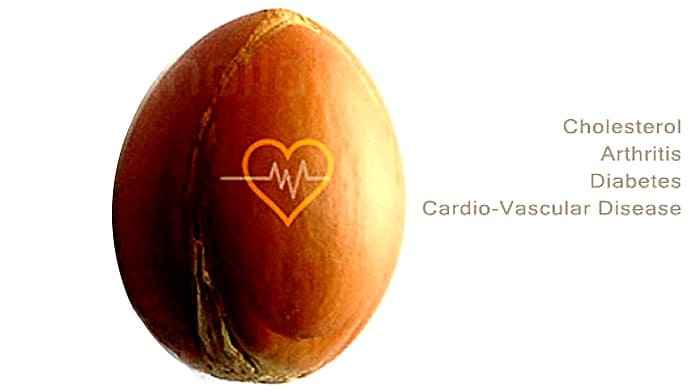 Foods such as edible Argan Oil have many beneficial effects such as lowering triglycerides levels – which are linked to cardiovascular diseases, atherosclerosis and stroke . In Morocco Culinary Argan Oil is used for its anti-inflammatory effects. It contains Triterpenoids, butyrospermol, known for their anti-inflammatory benefits. In addition, raised levels of linoleic acid, in Culinary Argan Oil increase production of prostaglandins 1. This can help improve rheumatologic conditions. Antioxidants, flavonoids, sapponins and tocopherols are also found in high concentrations in Argan Oil. These nutrients promote good circulation and have a strong natural anti-inflammatory effects. It is interesting note that culinary Argan Oil has been used for heart health and that patients with rheumatoid arthritis (RA) have up to five times the risk of developing premature cardiovascular disease. Two studies tested the use of Argan Oil in the diet for helping manage diabetes. An promising study revealed a hypoglycaemic effect within one month in test animals. A second study confirmed insulin-sensitising activity in cells tested with Argan press cake. Carol O’Neil, PhD, MPH, RD and associates evaluated data from 13,292 men and women aged 19 and older. Twenty-four hour data was analysed for the intake of almonds, Brazil nuts, cashews, hazelnuts, macadamias, pecans, pine nuts, pistachios and walnuts. Consumers of nuts were defined as those who consumed at least ¼ ounce tree nuts per day. Participants were found to have a decreased metabolic syndrome risk factors that included abdominal obesity, high blood pressure, elevated fasting glucose and low high-density lipoprotein (HDL) cholesterol in comparison with those who did not consume nuts. Nut consumers also had a lower level of C-reactive protein, a marker of inflammation and indicator in conditions such as Arthritis. Most studies used about about 1 Tablespoon ( 15ml ) a day of culinary oil in tests. This is the same amount of oil that was used in studies testing the effects of Argan Oil. The easiest way is to eat it with a spoon or add it to food. To get this dose using capsules you need to take about 15 Capsules or Argan tablets. This is because capsules contain around 1ml oil which isn’t enough oil for treating health problems. Taking the pure Culinary Argan Oil using a spoon is easier – and tastier! Furthermore, buying pure Argan Oil is more economical than buying capsules. How Long Do You Need Take Argan Oil Supplement For? Researchers discovered that benefits were often detectable within 3 weeks. Full length studies lasted around 60 days. During this time patients were given around 15ml of oil per day. This means a treatment dose is around 450 ml of pure oil per month. If you want to repeat a similar test yourself remember that your diet should be strictly controlled during tests to avoid positive or negative effects cause by other foods. 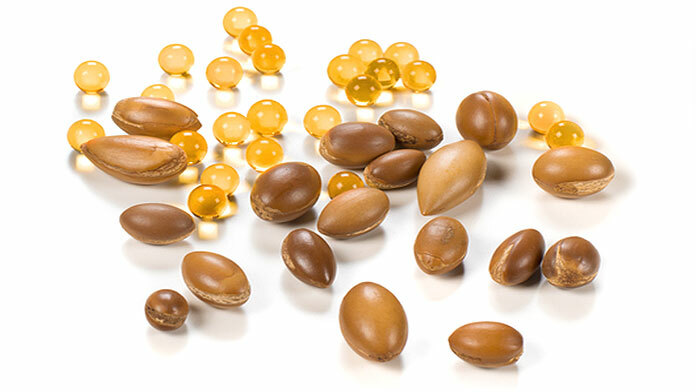 What is in Culinary Argan Oil & Capsules? This table shows dietary information for our organic, Culinary Argan Oil. It contains details of energy in calories ( kcal ), fat content, carbohydrate, sugars, protein and salt. Figures are given for a single 15ml Tablespoon – the typical daily dose used in studies. This nutritional information can be used in planning your balanced diet. Stay Healthy & Live Longer by Eating Nuts! Dr. Frank Hu, is professor of nutrition and epidemiology at the Harvard School of Public Health. He worked on two long-running studies of over 120,000 people. During the studies he discovered that “People who ate nuts every day lived longer, healthier lives than people who didn’t eat nuts,”. The report revealed that daily nut-eaters were less likely to die of cancer, heart disease, and respiratory disease. They were 20% less likely to have died during the study than those who avoided nuts. The April 2012 issue of Journal of the American College of Nutrition published further studies studies. These shows additional beneficial effects of eating nuts on reducing groups of risk factors, known as metabolic syndrome. These factors are associated with the development of type 2 diabetes, coronary artery disease and cholesterol. Prices include Free Delivery Worldwide. All products are supported by a money back guarantee of quality. for cardiovascular disease and metabolic syndrome in U.S.adults: NHANES 1999-2004. J Am Coll Nutr. 30:502-510.
an analysis of National Health and Nutrition Examination Survey (NHANES) 1999-2004. Asia Pac J Clin Nutr. 19(1):142-150.